The four nights of dramatic frost in late April was catastrophic for some, wiping out entire crops or significant percentages of them. 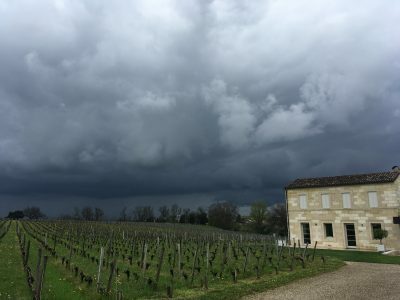 St Emilion, Pomerol, Entre-Deux-Mers, Graves and Pessac-Léognan have been badly affected, but also parts of the Médoc and Haut-Médoc. Production is down between 30-50%. Yet many properties were left completely unscathed with some only partially affected. 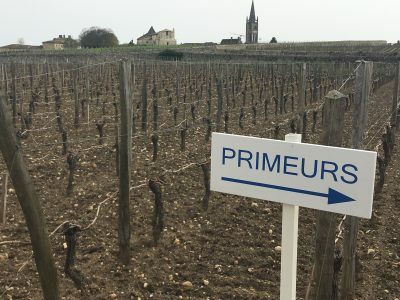 For those who experienced the frost, the damage is not simply to the reduction in yield, itself painful economically, but the removal of certain plots has played havoc with the winemakers blending options. They’ve been dealt a hand, but the cards offer limited room for manoeuvre. This makes 2017 is a variable year. One property succeeds yet the neighbour misfires. Overall the reds do not have the wonderful texture and unadorned joy of 2016 [best since 2010] and 2015 [itself a little heterogeneous]. That said, choose carefully and where the price is right, there will be good red wine to consider for drinking in the short and medium term. Buy the beautiful dry whites for sure. The growing season overall was a precocious one to start with. Flowering also occurred in good weather and fruit set was very good [at least for those unaffected by the frost]. June was hot but with wet periods [storms] but overall the summer was very dry, with half the annual rainfall. Still it was comparatively cool and temperatures meant that water stress didn’t occur on most plots until after veraison. There was hot weather towards the end of August and the white wine harvest occurred in good conditions. The results here appear wonderful. 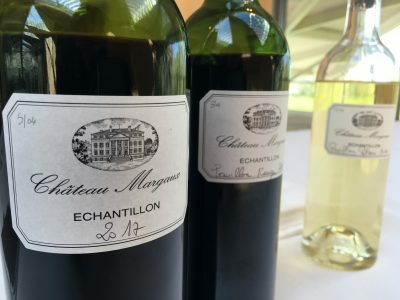 At the very top level Château Haut-Brion, Château La Mission Haut-Brion, Château Smith Haut Lafitte and Château Pape Clément have made tremendous white wines in Pessac-Léognan. Rain from early to mid September was not generally helpful for the Merlot [unless on the later maturing terroirs on limestone and clay-limestone] and there were some concerns to harvest quickly to avoid grey rot in places. Sun arrived from 20 September and temperatures rose to above average. These conditions continued throughout October, in what has been described as an Indian Summer [though not quite the same as the one that saved 2014]. This sunny, warm weather was conducive to the final ripening of the Cabernets, which perhaps explains why 2017 is seen as more of a left bank year than right, particularly given that the right bank suffered greatly from the frost damage. This is an over simplification. I tasted great St Emilion on my trip. At the very top end, La Mondotte, Château Angélus, Château Valandraud, Château Canon, Château Canon-la-Gaffelière, Château Pavie Macquin, Château Larcis Ducasse and Château Beauséjour [Duffau Largarosse] have made exciting wines, possibly up there with the 2014s and 2012s. I was also impressed with Château Fombrauge, Château Magrez-Fombrauge, Château de Pressac, Château Sansonnet, Château La Marzelle, Clos de l’Oratoire, Clos de Jacobins, Château Bellevue, Château Daugay, Château Villemaurine and Château Bellefont-Belcier. More detail on all these later. 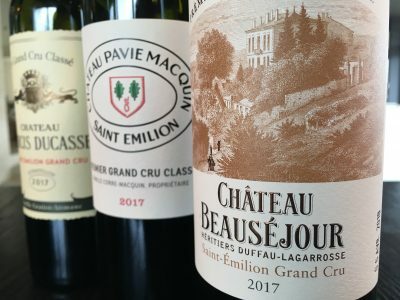 In Pomerol my tastings this year were very limited, but I enjoyed Château Beauregard [fresh and juicy], Château Le Moulin, Château Vray Croix de Gay, Le Clos du Beau-Père and Château Nénin. While these wines don’t have the excitement of 2015 and 2016 they showed well in the context of the vintage. I missed out on tasting at the UGCB and at Jean-Pierre Moueix and hope to plug some of these gaps shortly. Remaining on the right bank I was especially impressed by the quality of some of the best properties in Fronsac and Canon Fronsac. Château La Vieille Cure, Château Gaby, Château Dalem, Château de la Rivière and Château de la Dauphine all showed purity and sophistication. I’d see no reason not to consider them this year. 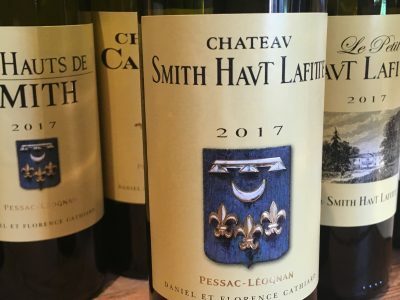 Coming round to Pessac-Léognan, for me Château Smith Haut Lafitte has made some of the most impressive reds of the commune [and the vintage?]. They have wonderful depth of fruit and feel extremely well upholstered. Château Pape Clément impressed as well, though the frost took a large slice of the crop. At Château La Mission Haut-Brion, La Mission itself and Haut-Brion showed really well. They are all you would expect them to be – polished, focused and multi-layered. At Château Haut-Bailly there is good purity and their terroir with its aspect and slope helped them avoid much of the frost. There is no doubt that conditions favoured Cabernet Sauvignon and Cabernet Franc overall. Some of the most impressive reds in the vintage come from the northern Haut-Médoc, specifically St Estèphe, Pauillac and St Julien. Frost affected some of the vineyards inland from the Gironde, so, by and large, the best wines have come from those closer to it. Château Léoville-Las-Cases feels very correct and full [if a little subdued when I tried it] and Château Léoville Poyferré was fleshy, forward and almost showy. There is wonderful purity at Château Ducru-Beaucaillou as you would expect, but frost has affected volumes of Lalande Borie and their properties in Listrac were badly hit. 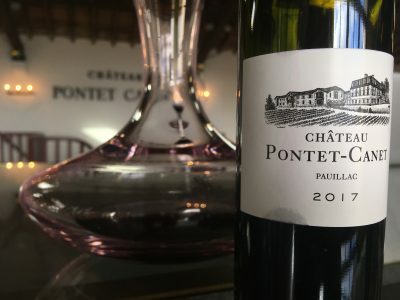 In Pauillac, Château Pontet Canet has produced another biodynamic beauty. Château Grand-Puy-Lacoste has lush Cabernet tones, Château Grand-Puy Ducasse has lots of blackcurrant and plum tones and Château Batailley has lovely purity. Château Lynch Moussas looked good as did Château Haut-Bages Monpelou. 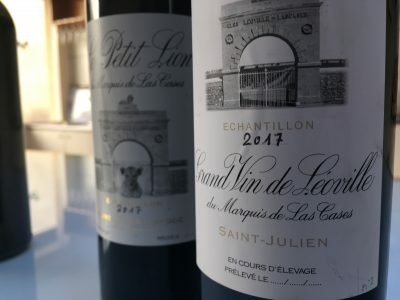 Château Pichon-Lalande also impressed in the vintage context, with plenty of freshness, cassis and Pauillac character. There was vitality and freshness on display in Château Haut-Bages Libéral. Château Latour was top of the tree for me though we won’t see that for a while, though I will report on their latest releases, the 2012 Les Forts de Latour and the 2006 Latour. I’ve yet to taste Lafite and Mouton 2017, two big omissions here. St Estèphe in particular has performed well. 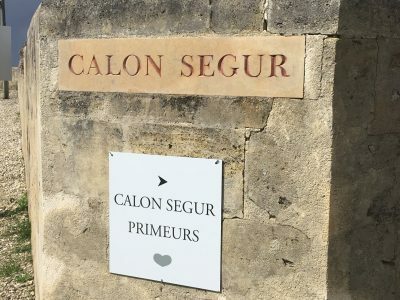 Château Calon-Ségur has great freshness and purity, Château Montrose is powerful in the vintage context and Château Cos d’Estournel has vibrance and wonderful refinement. Stylistically the wines are perhaps akin to a hypothetical combination of 2012 and 2008 for me in terms of body, texture and freshness. Château Beau-Site, Château Capbern, Château Le Crock, Château Meyney, Château Tronquoy-Lalande and Château Haut-Marbuzet [especially] are all attractive and should provide comparative value. 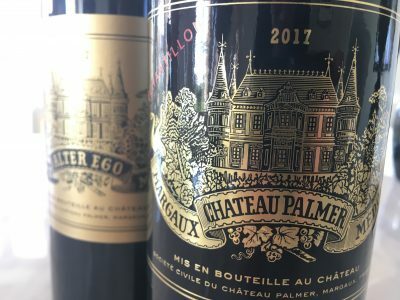 At the southern end of the Haut-Médoc, down in Margaux, Château Palmer looks to be outstanding. How on song this property is under Thomas Duroux and there are lots of exciting things happening in the vineyard and the cellar. Château Margaux really impressed me too, now with the wonderful Philippe Bascaules at the helm. I was also struck again by the purity at Château Durfort Vivens, and their 2016 re-tasted looks just as knock-out as it was last year. There was also great refinement at Château Rauzan-Ségla in 2017. Amongst the other Margaux wines tasted, Château La Gurgue, Château Ferrière, Château Siran [in particular] and Château Marojallia looked good. I will report on all these in greater detail but they all showed vitality and perfumed aromatics. 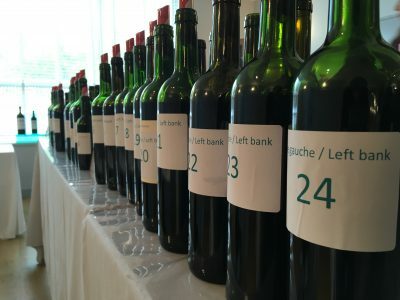 Unfortunately, I missed on tasting the Haut-Médocs and Médocs at the UGCB as well as the Cru Bourgeois tasting during primeurs week. That said Château Potensac tasted at Léoville-Las-Cases looked classical and correct and Goulée, tasted at Cos d’Estournel was vivacious. Château Blaignan and Château Les Grands Chenes also looked good in the Médoc. 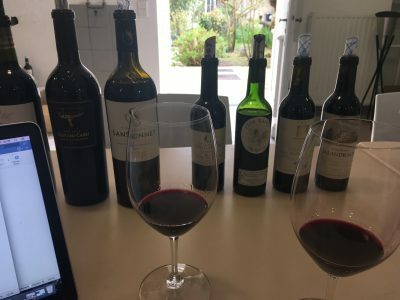 In the Haut-Medoc appellation Château La Tour Carnet suffered a 75% crop reduction due to frost but has fashioned a forward, lush and attractive wine [as well as a tiny quantity of tantalizing white!]. At the Hubert de Boüard Consulting tasting Château Lanessan was fresh and perfumed. Overall, however, there is not the excitement that these wines showed in 2016. So how to sum up? There are more gaps in my tastings this year than usual, but I think I’ve got a good handle on the vintage and its principal characters. The best reds are vibrant and vivacious, with bright acidities and soft tannins. The dry whites I tasted were fabulous. The sweet wines of Sauternes look good judging from the handful I’ve had and other reports I’ve seen talk of a wonderful harvest for the region. Inconsistency is certainly a feature of this vintage. This is due to the worst frost damage Bordeaux has seen since 1991. The vintage was not helped by a generally rather cool summer and a wet start to September, which in particular was not ideal for the Merlot harvest. The sunny conditions that resumed certainly benefitted the Cabernets. While the right bank is patchy, the left bank is far from homogeneous too. In many respects it is neither a left or right bank year. Rather it is one that favoured the best terroirs and, because of this, excellent wines have actually been made in all districts. Do read the detailed notes that will follow immediately, starting with some of the brightest stars in St Emilion. So should you buy en primeur? Yes [as ever] for those properties where the wine is in very short supply. Yes also to the Bordeaux dry whites. Yes too if chateaux are offering 2017 en primeur at a substantial discount on their release prices in 2016 and 2015. Still given the availability of 2012 on the market, wines that share some of the characteristics of 2017, you would do better to opt for these with your money if prices are similar. Why tie up your cash when you can open something immediately – the 2012s are drinking nicely already – and I think that’s what I will be doing….